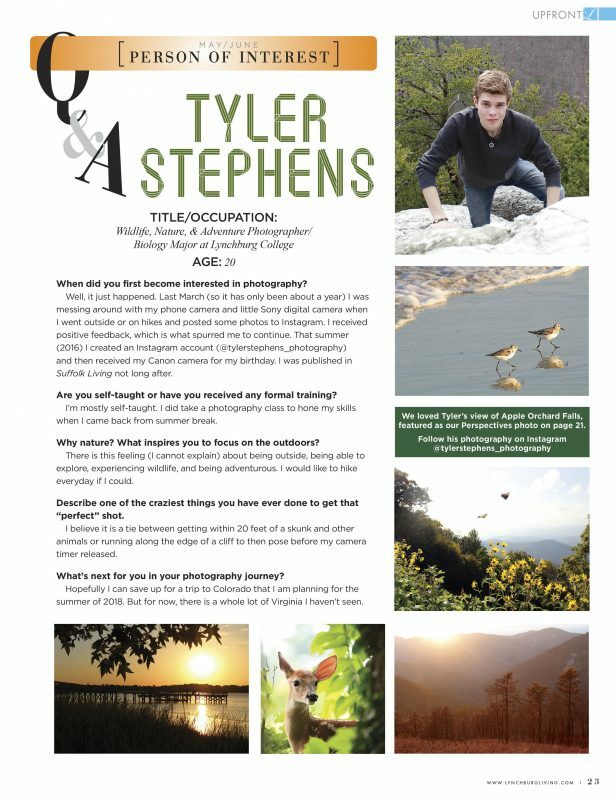 Lynchburg Living magazine chose Tyler Stephens ’19, a biology major from Suffolk, Virginia, for a monthly question-and-answer profile in its May/June issue. The issue hit the newsstands Monday, May 1. Tyler’s photography caught the eye of the magazine editor earlier this year thanks to his Instagram account, @tylerstephens_photography, which he frequently updates with new photos nature photos. 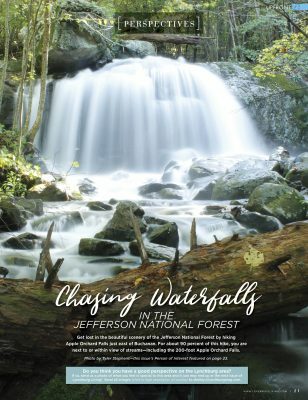 The magazine selected a photo he shot of Apple Orchard Falls for its Perspectives feature, which uses images to highlight what makes the Central Virginia region special. Apple Orchard Falls is a 200-foot waterfall off the Blue Ridge Parkway about 20 miles from the Lynchburg campus.